Galaxy Tab 2014 Edition with Android and Windows RT dual-booting in the works? Microsoft hasn’t been too successful in driving adoption of Windows Phone and Windows RT in face of competition from Android and iOS, and recent rumors suggested the Redmond company had gone into damage control mode and asked HTC to give consumers the option to run Windows Phone on its Android devices, by letting them dual-boot between the two OS’. Now, a new rumor suggests that Microsoft might have asked other manufacturers to do the same, including Huawei and Samsung. Furthermore, Samsung reportedly has decided to team up with Microsoft and is working on a 2014 edition of the Galaxy Tab, which will run both Android and Windows RT. The dual-booting tablet will sport a 12-inch or larger “crazy good” retina class display, and according to those who’ve played with a test device, the dual-boot concept seems to work well. 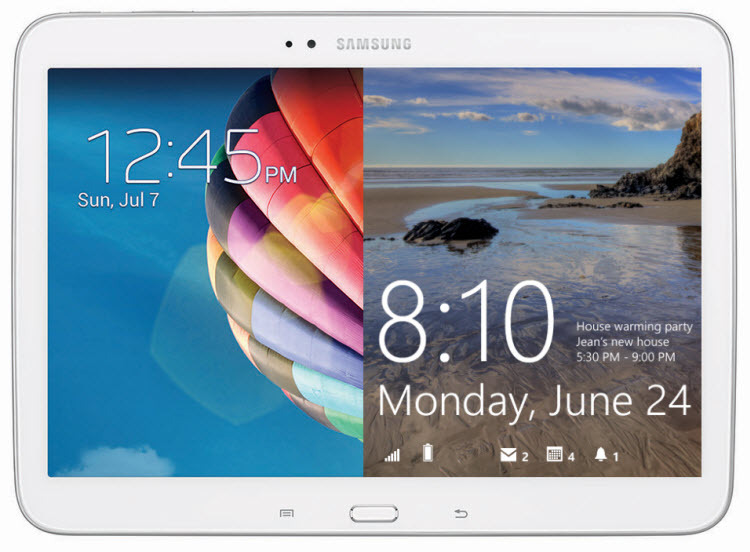 Galaxy Tab 2014 Render. Courtesy Unwired View. However, it seems quite unlikely that Microsoft would be so desperate as to go asking manufacturers to use its operating systems on their mobile devices, so take these rumors with a pinch of salt. Not that we’d say no to a tablet that can run both Android and Windows RT, but if such a tablet does exist, it probably won’t be at the bequest of Microsoft. What about Activ Q? That was sick! If them accept it will android users need to pay more for Microsoft wanna get mony for licens for Windows. And i guess many just skip the phone some has both os. I should never buy a phone with Windows never gonna happens. Whatever happened to Ativ Q? Wasn’t it THE device with a 12 inch screen with UHD resolution?